Yesterday was stir up Monday here. OK I know it should have been stir up Sunday but there was not a spare moment on Sunday. 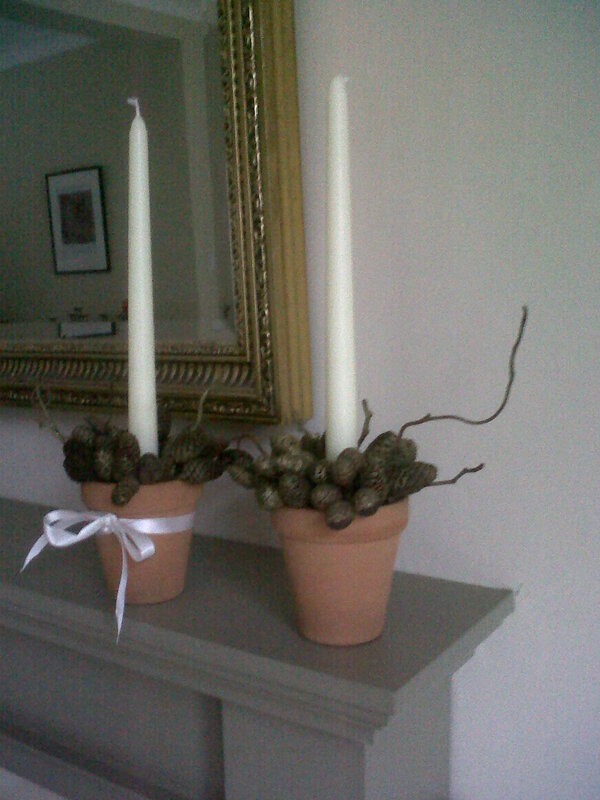 The house smelled fab and it felt as though the countdown to Christmas had officially begun. I’ve used Margaret Costa’s recipe for Christmas cake for more years than I care to remember and it gets compliments every time. 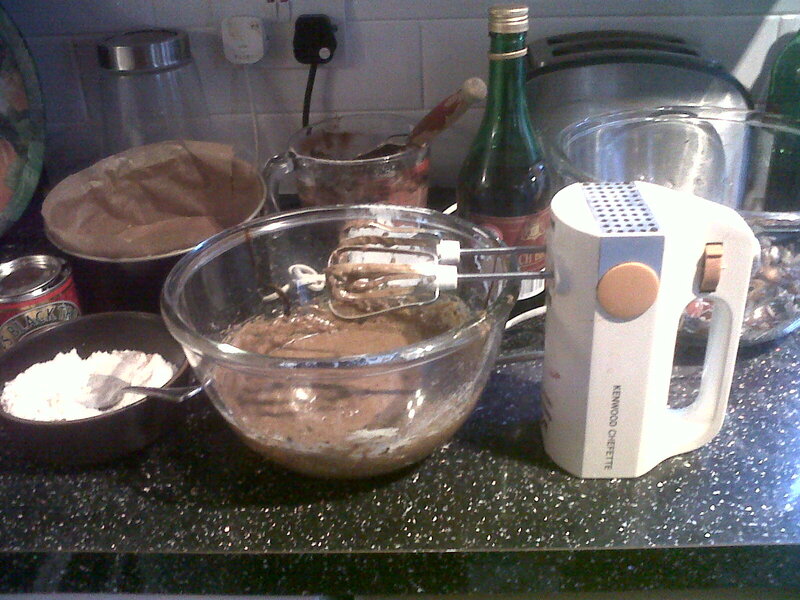 Its from her Four Season’s Cookery Book which was dropping to bits till I was bought a replacement. Thank goodness someone decided to do a reprint. This is the recipe for the 9″ cake http://www.foodari.com/Recipes/Sarah%20Scott/Christmas-Cake but if you get hold of the book there are quantities for all sizes from 7″ to 12″. 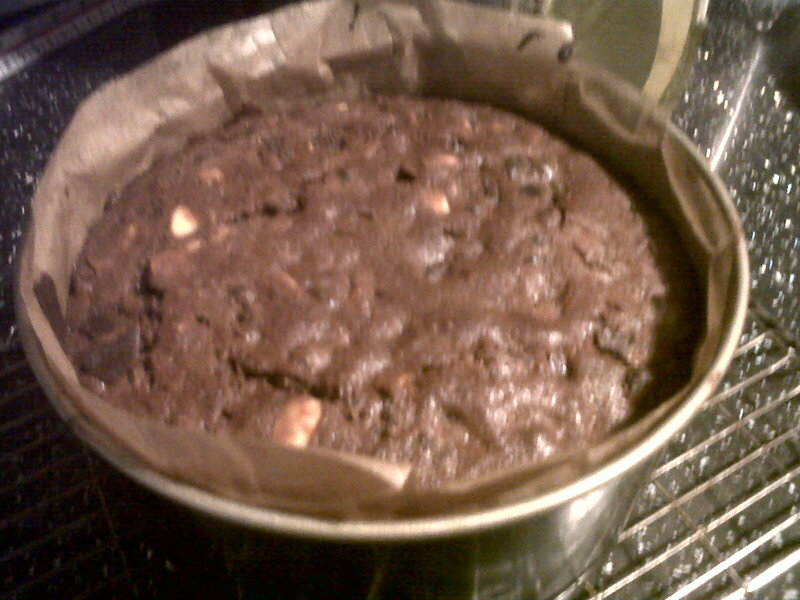 Here it is on its way out of the oven….tempting but no, it’s wrapped in foil and in a cake tin now. It’s so good that last night when I told a friend what I’d been up to she looked appealingly and so yes, I’ll be making another one! It’s a rich traditional cake with more fruit than mixture. And here it gets well fed with brandy at least once a week till the week before Christmas when it gets a tick coating of maripan and a topping of royal icing. Very traditional but I love Christmas cake…especially with a chunk of Wensleydale cheese in good Yorkshire tradition. The cakey smell isn’t the only thing that’s making me feel Christmassy. 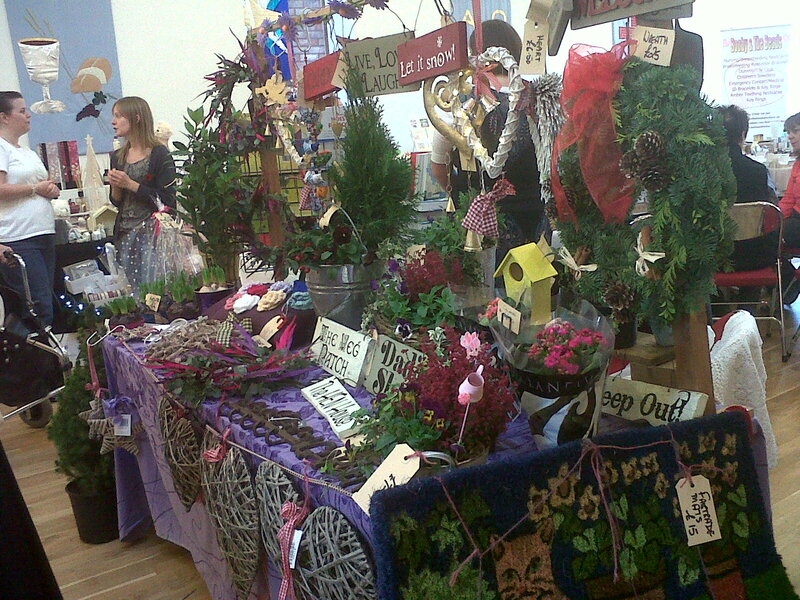 The Christmas craft fair season is in full swing and I’m taking my goodies here there and everywhere at the moment. Goole last week, Barnsley this morning and Apperley Bridge on Saturday. I really know how to live the high life! Take a look at the events page to see where I’ll be next. And fairs mean glitter and gold paint. So much of it I had to explain why I had gold fingers the other day – couldn’t get the stuff off – but have now bought more terps. I’m planning to take a space at Fabrication Shop, Kirkgate, Leeds City Centre in the run up to Christmas where I’ll have wreaths, planters and gifts. Since it’s a new venture I’m after your help. If you’ve got a minute tell me what kind of thing you buy at Christmas that’d be great, and feel free to add any other comments! Hope to see you in the shop!